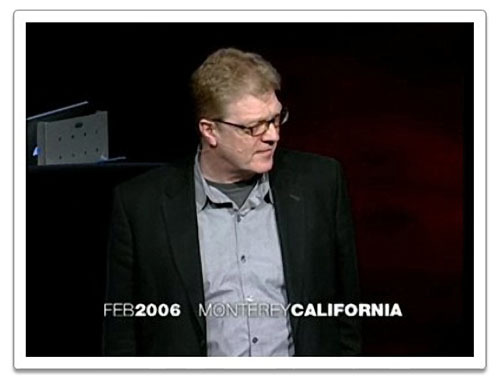 It’s worth taking 19 minutes 24 seconds out of your busy lives and watching this video from TED (Technology, Entertainment, Design) in which educationalist Ken Robinson argues that in the future, your future, creativity is going to be more important than academic attainment in education. He’s funny, too. Here’s the link to his talk. Please take a moment to post your reactions to his ideas in the comment box, too. Wow Ken Robinson really hit the nail on the head there! A very impressive lecture. He is very witty and has a very interesting and true view on life. Emma, I’m glad you enjoyed his lecture. It makes me want to roll the clock back on my education!